The opportunity to form and foster connections is a principal goal for many attendees at SXSW EDU. The connections that we establish within our industry, workplace, professional and personal lives have a profound impact on us because let’s face it, it’s not always what you know, it’s who you know. 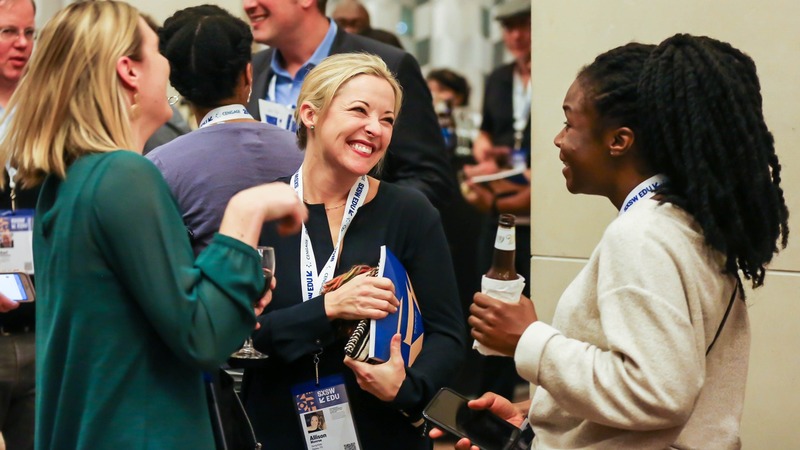 We’ve been working hard to double down on these opportunities at SXSW EDU 2019 with a variety of formal and informal networking options for attendees. We are thrilled to share a host of announcements for March 4-7, including new formats such as pop-up dinners, fitness events, and walking tours! From morning bootcamps to a wellness studio, fitness events offer an opportunity to get grounded, focus on you, and meet like-minded wellness enthusiasts. Swing by the Wellness Studio in the Expo for daily yoga and meditation classes, along with SEL workshops. Sponsor-supported lounges are scattered throughout both the Austin Convention Center and the Hilton Austin Downtown. The uniquely customized spaces provide attendees a haven to relax, recharge, and connect. The mentor program at SXSW EDU facilitates purpose-driven, one-on-one 12-minute connections between experienced professionals and solution-seeking attendees. The first wave of mentors was announced in November and today’s update completes the mentor lineup for March 2019. Connect with fellow registrants while enjoying a taste of Austin at pop-up dinners across downtown. Dinner reservations have already been made, just sign up to reserve a seat and show up hungry to enjoy a bite and conversation with other attendees interested in meeting new people. Attendees are responsible for their own dinner expenses. *Limited capacity and requires RSVP sign up in advance. Registrants can RSVP for a spot in an event before and during SXSW EDU in the online schedule or mobile app. RSVP will open on February 18. Keep an eye on SXSW EDU for more information about networking tips, tools, and events. Register by February 15 to save $50 on the walk-up rate.